Zombie silhouettes are fine for store shelves, but it seems that nooses are a step too far. Dead Island publisher, Deep Silver, says that it is tweaking the game's logo for its North America release so that it no longer features a hanging zombie. This change will only apply to the North American box art however, and doesn't affect the European release at all. 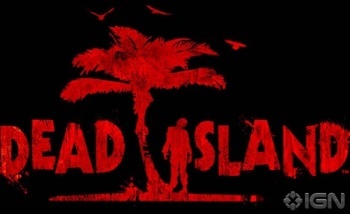 The original logo, which will still appear in the game itself, has a zombie swinging from a noose doing a pretty sterling impression of the "I" in Dead Island. Someone deemed this to be a little too extreme for the North American market however, so the gallows zombie has been given the boot and in its place is a regular, "living" zombie, lurching and shambling towards the player. You can see this updated, and not quite as evocative, logo above. It's not clear exactly why Deep Silver and developer Techland decided to make this change. Other developers have run into problems with cover art before however, like Valve's troubles with the ESRB over the missing fingers on the cover for Left 4 Dead 2. It would make sense that it is either in response to, or in anticipation of, some kind of criticism about the logo. Dead Island is scheduled for release on Xbox 360, PC, and PS3 sometime in the third quarter of this year.